Registration for Earthfriend Discovery Day Camp is Now Open! Please note, registration for this program is through the Manitou Project and the payment options are different than the other camps and programs on this website. VWS does staff this program and the flavor of the camp is inline with all of our programs. The true cost per camper is $290/week. Scholarships are available, see reservation form (at right) for info. 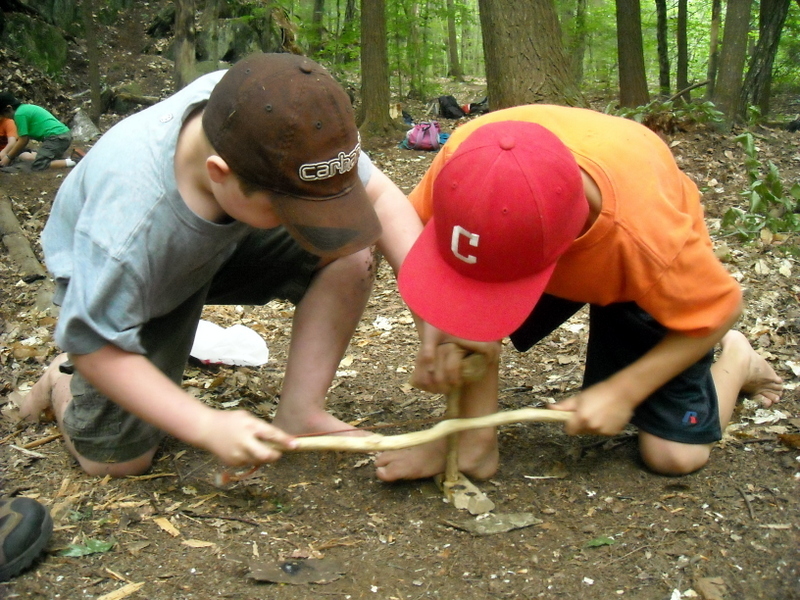 Earthfriend Discovery Day Camp is committed to nurturing the loving and magical connection the young naturally feel with their environment and all forms of life on this planet. Earthfriend was started by The Manitou Project in 2004 with seven campers. By 2008, the camp had 20+ campers, with many returning year after year. 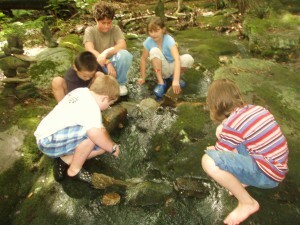 In 2010 the Manitou Project began partnering with Vermont Wilderness School. VWS provides quality, experienced staff and a level of professionalism to the camp experience while continuing to embody the Manitou vision of the camp. This year the Program Director / Lead Instructor will be veteran Amy Hyatt (both weeks). Additional Staff to be announced. Apply online with this Link. Then send a check or money order made out to “Manitou Project” and mail to Earthfriend DDC c/o Vermont Wilderness School, PO Box 2585, Brattleboro, VT 05303. Download our Earthfriend Camp Information 2019 for more details. QUESTIONS? Call (802) 257-8570 or e-mail EarthfriendDDC@gmail.com.